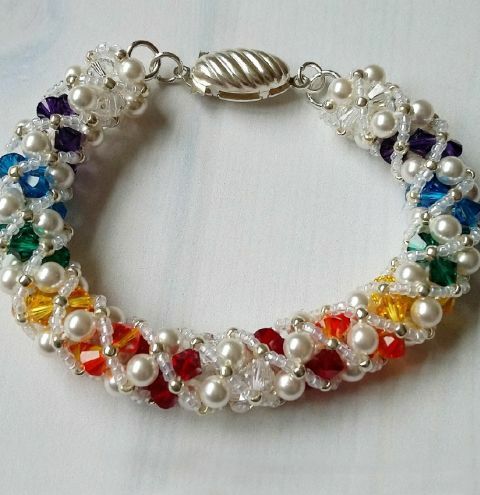 Rebekah Coleman shares how she made her beautiful Twisted Spiral Bracelet using a rainbow selection of Swarovski crystal bicones with Swarovski crystal pearl beads. See step one to download your FREE project sheet! Find more 4mm Swarovski crystal bicones HERE to add even more graduation colour to your design. Download your FREE project sheet by clicking HERE.